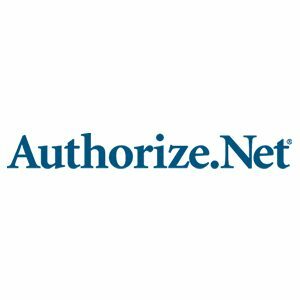 Authorize.Net offers online payment solutions that enable users to accept credit cards, e-checks, and contactless payments. Its features include fraud detection, simple checkout buttons, invoicing, and recurring payment tools, among others. In this article, we cover Authorize.Net reviews and pricing. Ready to get started? Sign up for an account. Users who gave Authorize.Net a positive review like its user-friendly interface and affordable pricing plans. They also commended the support team for their good customer service. Users who gave Authorize.Net a negative review dislike its very basic interface, adding that it does not look aesthetically pleasing. 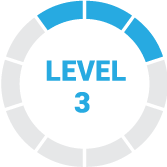 Others mentioned that some of its features need to be enhanced, such as improving its reporting capabilities and adding more verification levels. The Authorize.Net pricing scheme covers three subscriptions: All-in-One Option (gateway fee of $25/month, plus a per transaction fee of 2.9% + $0.30), Payment Gateway Only (gateway fee of $25/month, plus $0.10 per transaction and $0.10 daily batch fees), and Enterprise (custom priced). The main difference between the plans is the target user. The Payment Gateway Only plan is ideal for users who already have a merchant bank account. Users who don’t have a merchant bank account may subscribe to the All-in-One Option, since it includes a merchant account and payment gateway set-up service. Additionally, both plans have zero setup fees. Meanwhile, the Enterprise plan is for business owners who process more than $500,000 payment transactions per year. Ready to get started with Authorize.Net? Sign up for an account. Best Payment Gateway for Small Business – Payment gateways are the middlemen that connect your ecommerce shopping cart to your payment processor to enable online credit card payments. In this guide, we looked at the most popular options and rising stars and decided to review PayPal, Stripe, and Authorize.Net. These companies covered the range for small businesses in terms of security, ease of use, payment processing options, and price. Does Authorize.Net accept international payment transactions? Yes, it accepts payment transactions from customers worldwide. However, your business must be based in the United States, Canada, United Kingdom, Europe, or Australia. What payment types can I accept with Authorize.Net? With Authorize.Net, you can accept payments from Apple Pay, Chase Pay, Visa Checkout, PayPal, e-checks, and major credit cards (Visa, Mastercard, Discover, American Express, and JCB). 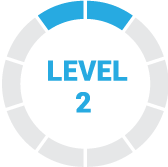 Have you read these Authorize.Net reviews and are still not sure if it’s the right fit for you? Read our reviews of all top payment gateway providers or check out one of these three Authorize.Net competitors. 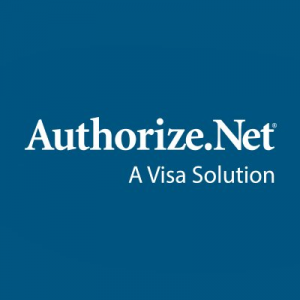 We are using Authorized.net as our primary payment gateway to get payments from our users. The payment failure rate is very less when compared to other gateways out there in the market and the API integration process is very simple which saves a lot of time and energy when implementing it on the websites. They do not have an inbuilt disputes panel, if a user raises a dispute for the charge then we need to depend on third party sites like AMEX and CHASE, if this has an option to respond to the disputes with the gateway itself then it will be easy for merchants like us. 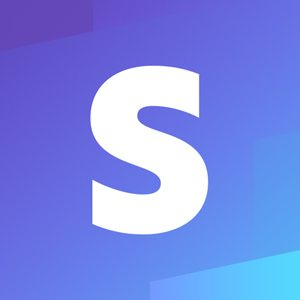 Before we had moved to Authorized.net we had a demo session with the support guys and after reviewing the features we moved here, so there is nothing to complain about this product as it performs really good in many areas. I like that AuthNet is simple to set up and provides all the basic tools that a business owner needs to collect payment anywhere. I like that I am able to process a card, set up a card to process, delay the process but capture the information, set up recurring billing, organize accounts and subscriptions into groups and categories, and export data for further organization. The one time I contacted support was a smooth process. One thing I dislike about AuthNet is that I am unable to add a second notification email on the account. One person receives the email notification right now, and it would be helpful if more than just one person could be notified when a transaction comes through. I also dislike that sometimes for no apparent reason, cards are declined. Sometimes it takes one or two tries to get a card to process, and nothing seems to be the problem with the info we are entering. It also lacks in basic reporting. Some functions are difficult to find and it takes some knowledge about basic merchant terms to find what you are looking for. But once you get the hang of it, it is simple. I also don’t like that there is a 120 day window in which you can process refunds, and processing the refund is complicated. I wish there was a way to set up recurring billing in one step, rather than the two step process that is in place now. I knew everything I needed to know before I made the jump. I only wish I would have known that there is a learning curve with this, but that is the case with every new technology. I do like how easy it is to speak with a representative. The site is easy to navigate. It’s nice to have a recurring billing feature. For the needs of our company, I would rather eliminate it and our Form-building site and use a service that combines all features. The transaction search feature could be streamlined and amped up a bit. The reporting lacks customization and is far too basic. I don’t need it to be robust but it certainly could be better. If a recurring donation transaction fails, you have to get the card number from the patron and run it manually. It seems as though there must be a more efficient solution. Authorize.net has not made any changes or upgrades to their software in the year and a half that I have been using it. I’m unsure if they have anything planned for the future. The system is intuitive and affordable. We used to use PayPal for our online credit card transactions. We switched to Authorize.net and have been pleased. We are saving money and the system is very user friendly. I have only needed to contact customer support one time and the gentleman I spoke to was very professional, friendly, knowledgeable and helpful. I would recommend them to anyone. Nothing comes to mind. I have not had any issues with Authorize.net. I’ve found authorize.net to be reliable and trustworthy for many years. In fact, Authorize.net helped my business early in its launch to stabilize recurring subscription payments. This was a huge benefit to my business. My bookkeeper understood how to use the interface and was able to track perfectly.